As I've mentioned before, Jalda makes lovely handbags out of Italian leathers, manufactured in the US. The sale prices are really great, and will make lovely holiday gifts. Click on image to go directly to the Jalda sale. 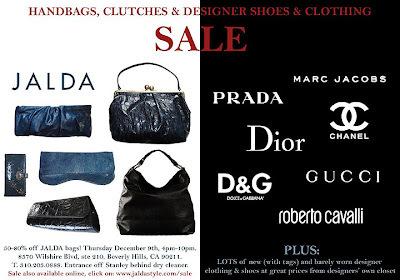 If you're in LA there are even more designer brands to choose from!